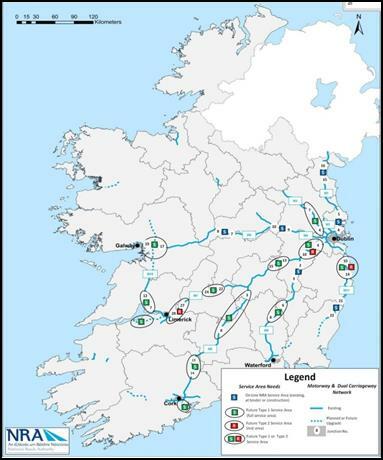 The construction of the motorway network since 2000 to present has dramatically changed the driving experience in Ireland. 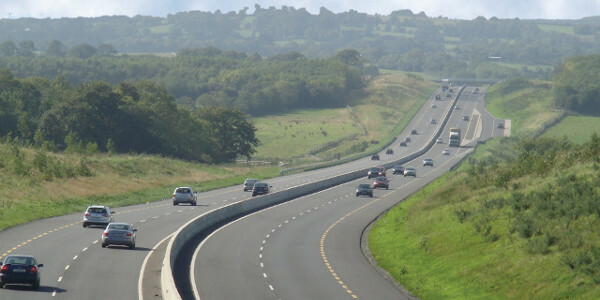 An integral part of any quality motorway network is the provision of suitable services and facilities for road users to avail of at reasonable intervals. The TII Service Area Policy sets out the national policy with regard to the provision of MSAs on the national road network. 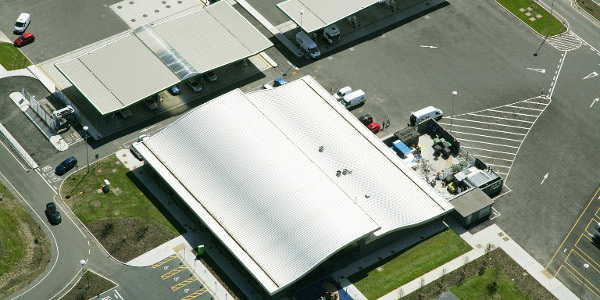 The Service Area Policy is driven by European Policy and Regulations, in particular TEN-T Policy, which dictates a need for Member States to provide areas where road users can park, rest and access facilities. 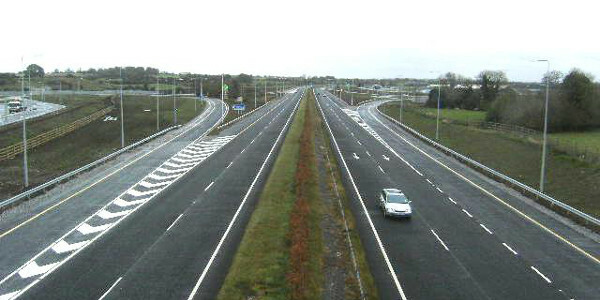 The TII Policy targets the provision of Service Areas at regular intervals on the dual carriageway/motorway network. The proposals for the location of MSAs on the national road network can be seen in the TII Policy map. 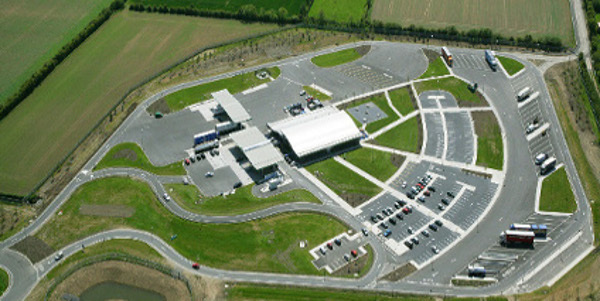 a motorway junction to provide access from the motorway to the service area. Once in place, these service areas will need to continuously develop in order to meet the evolving needs of road users. Future needs are likely to include parking areas with enhanced security and the ability for advance booking of safe and secure parking for commercial vehicles. The proposed schemes will incorporate all of the above mentioned elements and will be designed in accordance with NRA TA 70. “The Location and Layout of On-line Service Area”. © 2017 CH2M Barry Limited. All Rights Reserved.